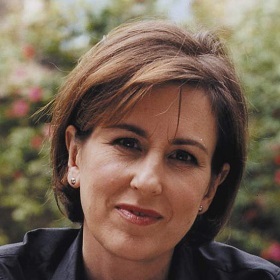 Kirsty Wark is one of Britain’s most highly regarded and versatile presenters. As a regular presenter of BBC2’s Newsnight her portfolio has extended from current affairs to the arts; she’s a regular presenter of The Review Show and Arts At strands on BBC2. In 2015, she hosted Edinburgh Nights (BBC2), presenting interviews and performances from across the Edinburgh arts festivals. In May 2014, Kirsty fronted the critically acclaimed and controversial BBC2 documentary Blurred Lines: The New Battle of the Sexes exploring whether attitudes towards women in society, online and the media signified a liberation or a modern misogyny. In 2012 Kirsty hosted a brand new cookery quiz, A Question of Taste, on BBC2 and in 2011 she competed in BBC1’s Celebrity Masterchef, reaching the final three, but was pipped to the post by rugby player Phil Vickery. Kirsty also presented The Great British Home Movie Roadshow (BBC2), The Book Quiz (BBC4) and A Question of Genius (BBC2). Kirsty joined the BBC as a graduate researcher in 1976 for BBC Radio Scotland, going on to become a producer in radio current affairs. After a spell on Radio 4’s The World At One, she moved to television in 1983 – working as a producer on Reporting Scotland and later producing and presenting the current affairs weeklySeven Days. Kirsty has interviewed many top politicians – from Tony Blair in January 1996 to Margaret Thatcher in 1990. Kirsty presented the 1987 General Election in Scotland and the three subsequent elections. She has also presented several major OB’s and the openings of the Tate Modern and the Scottish Parliament. From 1990-1993 she presented the Arts programme The Late Show and in 1993 fronted the popular BBC heritage seriesOne Foot In The Past – a role she continued into 2000. In October 1993 she joined BBC2’s Newsnight and has also presented Newsnight Review since 2001. Kirsty also presents an occasional series of interviews for BBC4 with guests as wide ranging as Toni Morrison, Hannan Ashrawi, Woody Allen & Pete Doherty. She also presents the prestigious Man Booker literary awards for BBC2 and BBC4. Forming the independent television production company WARK CLEMENTS & CO. with Alan Clements in 1990, she then presented much of the company’s output, including Words With Wark, Restless Nation, Building A Nation, The Kirsty Wark Show, Lives Less Ordinary and Tales from Europe. Kirsty was named journalist of the year by BAFTA Scotland in 1993 and Best Television Presenter in 1997. In addition, Kirsty was chosen as Scot of the Year 1998 – sponsored by Scotland On Sunday & Glenfiddich – and was awarded the 1999 News and Current Affairs prize by Carlton Women in Film and Television. She was also nominated for the prestigious Richard Dimbleby Award for Best Television Presenter (Factual, Features and News) in the BAFTAS 2000. Kirsty’s debut novel, The Legacy of Elizabeth Pringle, a multi-generational story of love and belonging set on the Scottish island of Arran, was published in March 2014 to critical acclaim. Kirsty has made cameo appearances in a range of television dramas, radio programmes and films. She has featured in Dr Who, Absolutely Fabulous, The IT Crowd, Spooks, The Amazing Mrs Pritchard, The Acid House, Beyond the Pole, Party Animals and With Great Pleasure. Kirsty was born in Dumfries and educated in Kilmarnock. She is married to Alan Clements and has two children. Plenary One | Apprenticeships, what is going on?